Predicting Hazardous Events in the Van Allen Belts: Where Does the Radiation Go? Space Safety » Archive » Press Releases » Predicting Hazardous Events in the Van Allen Belts: Where Does the Radiation Go? 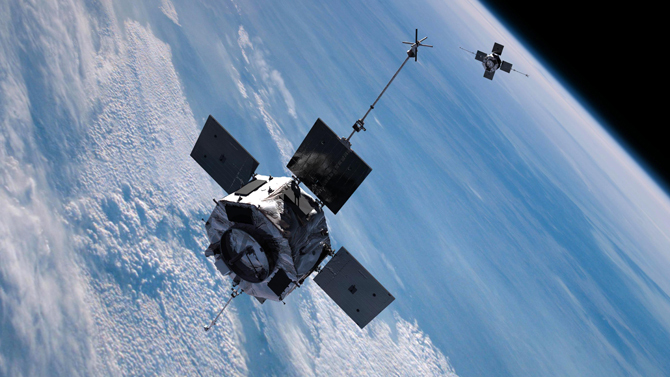 Artist concept of the twin Radiation Belt Storm Probes spacecraft, scheduled for launch in August 2012 (Credit: NASA). 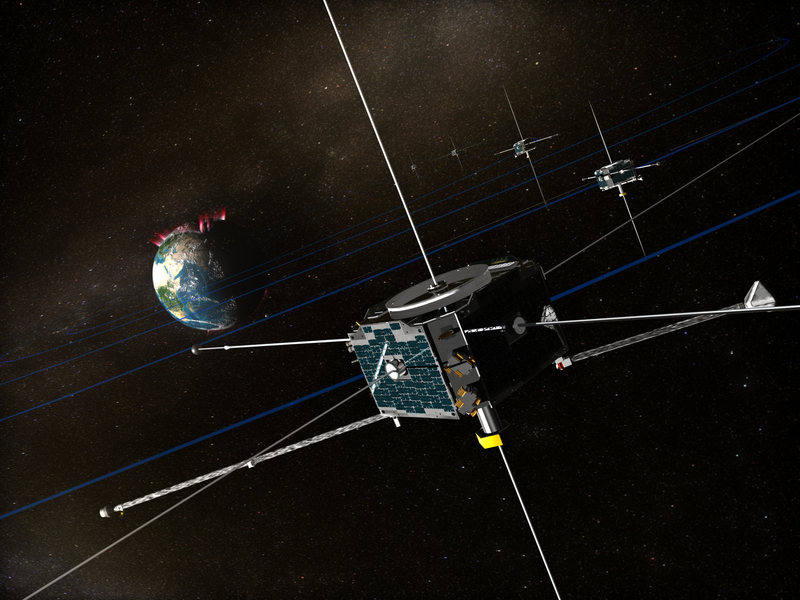 Artist’s rendition of the THEMIS spacecraft (Credits: NASA).